Regular laypersons like myself look at the secretive think tank Google X and have no problem assuming its researchers choose their projects by throwing darts at a wall covered in science fiction concept art. It turns out that the truth isn’t that much more complicated, as the Google X team takes “impossible” ideas and tries to reverse engineer them. So it should come as no surprise (but still does) that entrepreneur Astro Teller and his researchers put a lot of time into research and development of such improbable concepts as space elevators and hoverboards. This is the one time where failure as a conclusion is less of an issue than there being a conclusion in the first place. With the power and finances of Google and co-founder Sergey Brin, Google X is behind the long-gestating Google Glass smart eyewear and the driverless car, two projects that have been made public through conceptual success and prototypes. (Their smart contact lens also raised a few eyelids recently.) However, they aren’t so upfront about projects in early stages of development, so it’s a mini-revelation reading through the Fast Company interview with Teller; Rapid Evaulation idea team head Rich DeVaul; and his two Rapid Eval colleagues, Dan Piponi and Mitch Heinrich. 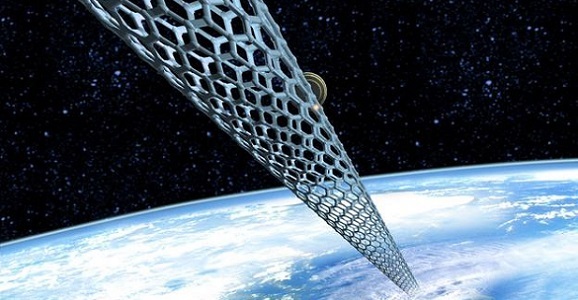 The biggest bombshell/non-bombshell is when they shed light on the long-rumored but always-denied space elevator project, which would conceivably create a method of travel between Earth and space stations using similar cable mechanisms that buildings use; just, you know, bigger. But it’s just as interesting to hear about their WiFi balloons, their fabrication shop, and just the processes behind the company itself. But seriously, if these guys can’t figure out how to make a space elevator, then what chance do we have? The advantages to such a device are endless — eventual trips between Earth and space using virtually zero energy or fuel — but the Google X guys couldn’t figure out a way to mount the opposition of practicality. Even if the money to fund it weren’t an issue, Piponi suggests the cable needed to run the elevator would have to be “at least a hundred times stronger than the strongest metal that we have.” And they eventually found that cylindrical carbon nanotubes could be used to create such a ridiculously strong material, but carbon nanotube strands larger than a meter have yet to be created. So, it might take just a wee bit longer for someone to make a strand that stretches 240 miles into the sky. I sent in an idea for them to just tie jump ropes together, but I assume the bright colors of the crayons I wrote the letter with distracted them. As far as their work went with hoverboards, Piponi did in fact create a hardcover-book-sized platform that stays aloft using magnets and a thin slice of a specific kind of graphite, which exhibits an unusual behavior around other magnets. So yes, they’ve invented something that floats, but Piponi says this current design becomes useless once weight is applied, so standing on it would be just as exciting as standing on the ground. And while they could have continued to research it using other forms of tech, they decided that the costs outweighed the usefulness of such a novelty device. For a more visual take on how they look at failure, check out the insightful video below.